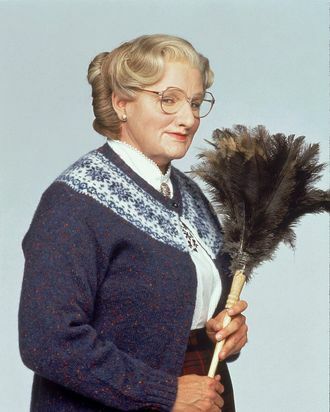 Looks like one more Mara Wilson movie is headed to Broadway: Alan Menken told EW Radio this week that he’s currently hard at work writing the score for a Mrs. Doubtfire musical alongside the movie’s own Harvey Fierstein, who’s writing the book. (David Zippel is handling lyrics.) Menken cautioned that the trio was “in the early stages,” but they were all “really enjoying working on it.” As will, we imagine, Broadway’s finest pyrotechnicians.